South African President Cyril Ramaphosa launched his Good Green Deeds programme last week to mobilise all sectors in South Africa to become more environmentally conscious. The initiative is meant to promote taking care of the environment and the cleaning up of South Africa. Since Friday, South Africans have been posting under the hashtag #GoodGreenDeeds to show their clean-up efforts. Ramaphosa said it was time for neighbourhoods to stand against littering and start initiatives to clean up their areas. “The campaign also aims to expand investment in bio-waste resources using best practices in food waste composting and urban food production initiatives,” he said. On the day that Ramaphosa launched his campaign, the Leadership for Conservation in Africa hosted our third Spark Talks live conservation event with speakers sharing their knowledge about water conservation. In studio we had representatives from The City of Cape Town, WATERisLife, UCT, Wits University and Struik Nature Club for the launch of the book The Last Elephants by Don Pinnock and Colin Bell. Dr Andrew Deacon, South African ichthyologist and freshwater ecologist also demonstrated to the audience how to make and use a miniSASS – a simple tool which can be used by anyone to monitor the health of a river. The aim of Spark Talks is to ignite passion among audiences for nature conservation and inspire them to take action for nature – an initiative that ties in with #GoodGreenDeeds. 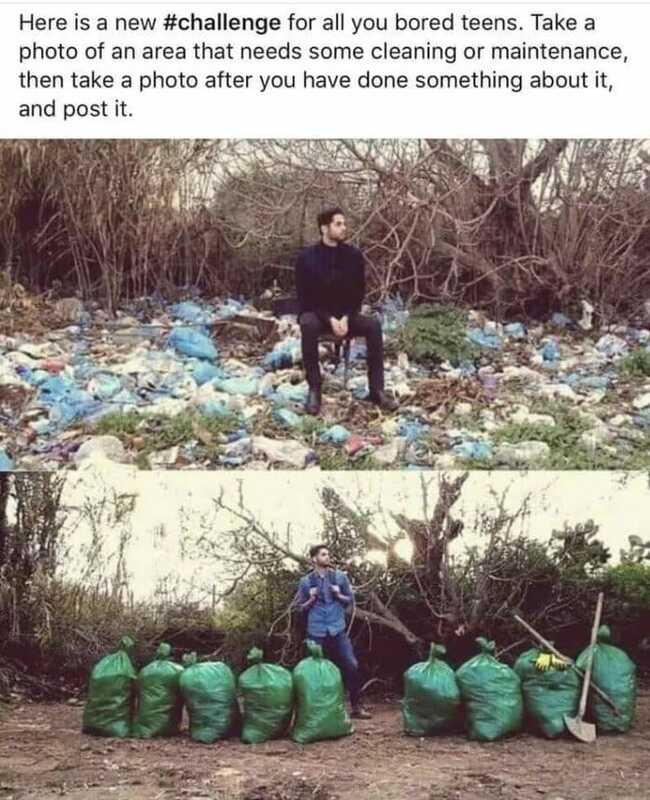 In a similar challenge, global social media users have taken on the #CleanupChallenge, posting before and after pictures of their cleanup efforts. In the meantime, South Africans have been heeding the call from the president to clean up their neighbourhoods, and their act!